Prana, which emanates from the Sun, enters the physical atoms that float about the earth's atmosphere. Prana is directly relational to the Sun. On sunny days there is more prana in the atmosphere, but on cloudy days and at night there is less. Prana is the force that interfaces with the third and fourth dimensions. Prana forms into vitality globules that cause physical atoms to glow when it enters them. The combination of balanced feelings and clear thinking causes a reaction in the body that allows it to assimilate more prana. Prana is known as the force of vitality and the "life breath" of an organism. Prana allows the astral body to communicate with the physical body by means of the etheric double or sheath. Through the etheric sheath, the prana runs along the nerves of the physical body amplifying its perception by uniting the fourth dimensional astral world with the third dimensional physical world. Prana enters our etheric body, and eventually our physical body, through the chakras. Chakras are small vortexes that rest on the surface of the etheric double. Their two functions are to absorb and distribute prana to the etheric and physical bodies and to unite the fourth dimensional astral world with physical consciousness. Prana rushes into the center of the chakra from a right angle. Chakras are like wheels with varying numbers of spokes. When the prana enters the center of the chakra it sets up a secondary force. This secondary force sweeps around the chakra with its characteristic wavelength creating an undulation, which catches the spokes and causes the chakra to spin. The more the chakra can assimilate prana, the faster it can spin, and the more the physical world can interface with the astral world. 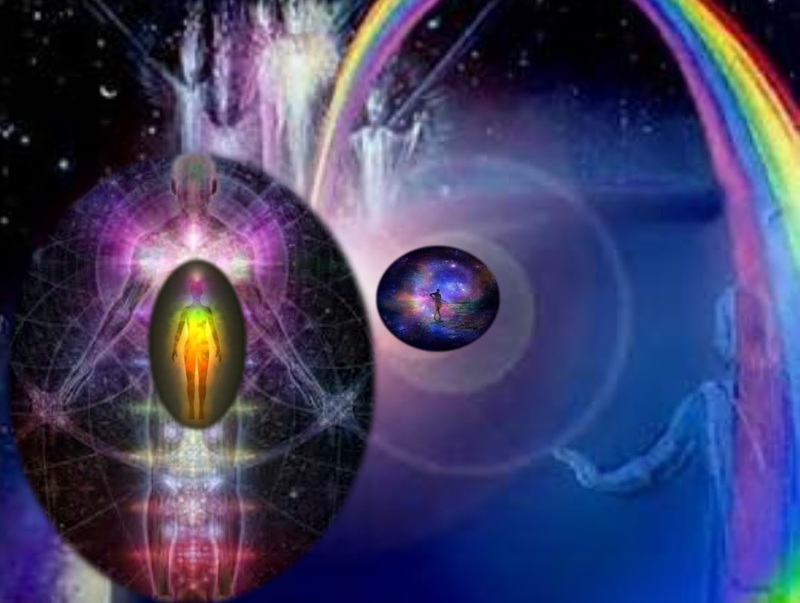 Willingness to experience the Astral Plane causes an impulse within the astral body to open a vortex, which is one or more of the chakras, through which the Astral Plane can perceive the physical world and the physical world can perceive the Astral Plane. In this way, a partnership is established between our third and forth dimensional selves in one or more areas of our life. 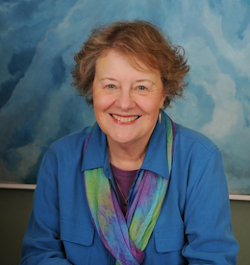 Through the flow of prana, our physical body can experience more of the fourth dimension and our astral body can experience more of the physical world. When the Kundalini, also known as the Serpent Fire, integrates with the prana, the chakras become vivified and perceptions of the higher world gradually become conscious. Kundalini emanates from the Sun and lies at the core of Mother Earth, just as it lies at the base of our spine. Kundalini is the force that calls us to return Home to our higher dimensional realities. Kundalini is also the force that can transform our earth vessels into vessels that are able to make that journey. Kundalini is the highest infinite energy, which is coiled up and dynamic, at the base of the human spine. Within the Kundalini Force contact is made between the infinite, divine creative energy and the finite, physical sexual energy. For the Soul to gain its highest spiritual potential while incarnated in a physical form, the great mass of Kundalini energy locked in the root chakra must be released to travel up to the crown chakra. The root chakra, at the base of the spine, represents our connection to the feminine Goddess energy that is manifest in the body of planet Earth. The crown chakra, at the top of our head, represents the masculine God energy that exists as pure potential in the non-physical dimensions. This higher energy radiates to Earth within the prana and Kundalini emanations from the Sun. When the Goddess Kundalini, Lady Shiva, has traveled up the spine to meet her Divine Mate, Lord Shiva, the union of Spirit and Matter are consummated. Kundalini is known in the Eastern world as the Goddess Shakti. When Goddess Shakti is awakened, She sweeps us up in Her tremendous passion to reunite with Her Lord Shiva in the crown chakra. This Mystical Marriage symbolizes the combining of the male and female energies within our bodies and the awakening of our multidimensional consciousness. After this Marriage, we will be clear enough for our Soul, also known as our Higher SELF, to inhabit out physical form and live its Divine Purpose through us. In the Western world the Kundalini is symbolized by the medical symbol of the caduceus, the rod with two snakes coiled around it in spirals. At the top are two wings, which are images of Mercury or Hermes who are the messengers of the Gods. 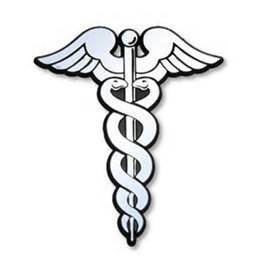 The caduceus is the symbol for healing, health, and transformation. The left cord is the Ida, which represents the feminine side. It is negatively charged, ends in the left nostril and has characteristics of coolness related to the moon. The right side is called the Pingala, which represents the masculine side. It is positively charged, ends in the right nostril, and has characteristics of heat related to the sun. The Ida and the Pingala represent the masculine and feminine energies which we all carry regardless of our gender. According to the Indian guru Muktananda, the Kundalini has two aspects. One aspect is often perceived as the outer cosmic energy of spiritual life force. In China this force is known as Chi, in Japan it is known as Ki, in India it is known as Prana, and in the West it is known as the Holy Spirit. We all have a limited form of Kundalini energy running through our bodies or we would not be able to live for it truly is our "life force". Kundalini is the energy that pervades and enervates the world as we experience it. The second aspect of the Kundalini is the hidden or inner form, which is usually "asleep" as a small bulb of energy stored at the base of the spine in our root chakra. This energy usually becomes dormant very early in our lives because we become engaged in the process of living. As children, we must learn to identify with our sensate, mental, and emotional processes, as well as with the genetic heritage of our physical bodies. In order to learn to survive in our physical world, we often separate from any awareness of our Higher Self. When our inner Kundalini awakens, it turns our awareness inward to our Source and offers us an opportunity to uncover who we are, where we come from, and where our true Home is. This awakening is the beginning of the spiritual journey that enables us to regain our multidimensional consciousness. 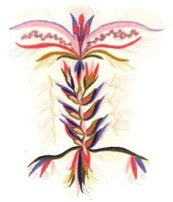 However, in order for the latent Kundalini energy to rise up the spinal cord without physical incident, our male and female energies must be balanced, and our chakras must be clear. When the Kundalini awakens it is a dramatic transformational force that flows through the nadis, the nerve channels of the body, and rises up from the base of the spine via the Sushumna. As this force enters each chakra it increases their spin. The increased spin spews out the toxins which rises the resonate frequency of each chakra. This process could be likened to changing our wiring from 110V to 220V. The experience is a mix of bliss, joy, terror, and rage. Each memory and emotion trapped within every chakra must be cleared. This clearing can be painful, but as it is completed we can experience life with a level of peace and joy that was once unimaginable. It is now the TIME for each of us to balance and merge our own feminine and masculine energies, our yin and yang. In this way, the yin of matter and yang of spirit can be combined within our consciousness as well as within our earth vessel. Like any journey, the Goddess Kundalini's journey begins with a single step. That step is our determination to break through the barriers of our unconscious mind to unlock the wisdom, power, and love that is trapped behind the veil of our forgetfulness. 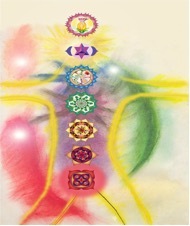 When we have healed our history of pain and fear, the Kundalini can begin its rise up the Sushumna, chakra by chakra. However, caution and patience are vital. To force the awakening of the Kundalini before we are physically, psychologically and morally ready could cause grave consequences. One never calls upon the Goddess Kundalini for curiosity or selfish reasons. The Kundalini force is fifth dimensional and, like a dry leaf could not stand a fire's blaze, our untamed egos could not survive the rise of Kundalini's Serpent Fire. Therefore, all the darkness and fear that is trapped within every chakra must be cleared. This clearing can be painful, but as it is completed we can experience life with a level of peace and joy that was once unimaginable. This clearing of darkness from each and every chakra is best down with unconditionally loving our self, chakra-by-chakra. It is the NOW for each of us to balance and merge our own feminine and masculine energies, our yin and yang. In this way, the yin of matter and yang of spirit can be combined within our consciousness and within our earth vessel. Like any journey, the Goddess Kundalini's journey begins with a single step. That step is our determination to break through the barriers of our unconscious mind to unlock the Infinite Wisdom, Multidimensional Power, and Unconditional Love that is trapped behind the veil of our forgetfulness. To force the awakening of the Kundalini before we are physically, psychologically and morally ready could cause grave consequences. One never calls upon the Goddess Kundalini for curiosity or selfish reasons. Remember that the Kundalini force is fifth dimensional. Hence, it is beyond the time/space of the third and fourth dimensions and resonates to the NOW of the ONE of the fifth dimension. When the Kundalini rises, it transforms every part of your earth vessel by moving through and transmuting every chakra. Transmutation is the act of raising the frequency of resonance into the next octave. In this case, “transmutation of every chakra” means that you will rise the resonance of your third/fourth dimensional earth vessel, chakra-by-chakra, into the resonance of the fifth dimension. When that process is completed, you will begin your process of becoming Lightbody! TOGETHER WE CAN "FIND OUR LIGHT-BODY"
My love and gratitude, Sue. Thanks for sharing such a wonderful information Sue!! I am looking forward to read more post of your blog. Just as anything so good in the universe it usually has a negative counterpart. One needs to have a stable mind first if he wants to be able to deal with energies such as Kundalini.